We know it’s coming. 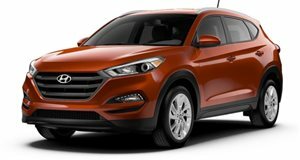 Hyundai confirmed this to us last month at Detroit. But the production-spec Hyundai Santa Cruz pickup truck won’t look much like the concept version that debuted five years ago. Speaking to Motor Trend, SangYup Lee, head of the Hyundai Global Design Center in South Korea, admitted the years-old concept was designed under a previous generation and now outdated styling language. The design has been finalized though Lee refused to go into further detail. As was the case with the old concept, the production Santa Cruz will share a platform with the Tucson crossover, itself about to receive a redesign. During our discussion with Hyundai vice president of product Mike O’Brien, the automaker believes it has uncovered an untapped truck segment in the US. For example, used Toyota Tacomas are the fastest vehicles off the lots not only because of their general capabilities and good name but also because of pricing. "There’s a lot of customers who wish they can have a Tacoma but can’t afford a new one,” O’Brien told us. While it would have been possible but not necessarily financially smart for Hyundai to opt for a body-on-frame platform, the decision was made long ago for a unibody setup. "Remember the very first Jeep Grand Cherokee? They’ve all been unibody, not body-on-frame,” he added. "So the question is how do you give someone an open bed utility in a new way?” Part of that way is through design, and Hyundai has reiterated more than once it’s done with that Russian doll look. The brand has matured since the Santa Cruz concept first arrived, and the upcoming production version will very much reflect that with its own unique look.